As a Mother’s Day treat, I’m taking a time-out from children’s literature and instead would like to offer a few books for the entertainment and edification of moms. For witty moms who are able to appreciate humor in the pandemonium that is child-rearing, I recommend Rachel Balducci’s How Do You Tuck In A Superhero? : and Other Delightful Mysteries of Raising Boys (Revell, 2010). Balducci is the mother of five active boys (and a girl who arrived after this book’s publication) for whom the ideal expression of familial love is when mom brings home a truckload of processed food from the warehouse store. A sense of real gratitude pervades Balducci’s observations on life with husband and sons. She is able to see the grace amid the chaos of her busy family. Balducci’s charming stories marvel at the differences in the male and female mind, celebrating both. The book is laugh-out-loud funny but also sweet and tender. Mom will love it and it is a great book to share; children who are independent readers will get a (roundhouse) kick out of it, too. Mothers who are concerned with environmental issues, ecological footprints and the safety of food, plastics and other things we bring into or homes each day may be interested in reading What’s Gotten Into Us? 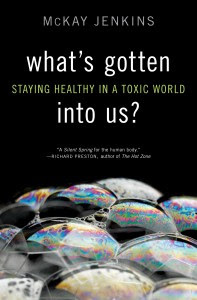 Staying Healthy in a Toxic World by McKay Jenkins (Random House, 2011). 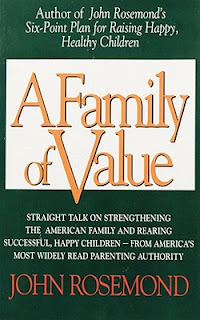 Not a fan of most things “green” myself, I was nevertheless drawn into this book after flipping through and happening upon the account of a father who blames himself for his child’s ADHD because he worked for a lawn-care company. The pain of potentially causing harm without knowing it struck me deeply. So I went back to read from chapter one and found myself learning a great deal more than perhaps I even wanted to about toxic substances to which my family is exposed. This book is a real eye-opener in a very readable format. Thanks to Jenkins’ thorough research, readers will get the story on flame retardants, lead poisoning, tap water toxins and plastic toys. He also offers suggestions for families wanting to reduce their exposure to synthetic chemicals. Rosemond’s books are firmly rooted in traditional Judeo-Christian values. I like to make a gift of his book A Family of Value (Andrews and McMeel, 1995) to new parents. In part one, Rosemond explains his return to traditional parenting methods after following what was the new Freudian psychology parenting rhetoric and finding it didn’t work in his own family. This “awakening to the healing power of common sense” changed his family and his practice. He shows readers why the psychology rhetoric which has now become the norm “sounds good, but it doesn’t work,” and explores its detrimental effects on the public school system. In part two, Rosemond gets practical and, some may say, even radical with chapter subheadings of “Turn Off the Television,” “…And Take A Sledgehammer to the Video-Game Console,” followed by, “… And Then, Stop Buying Toys.” You may not be able to bring yourself to actually do such things, but you can hardly argue with his reasoning. Part three answers real questions from parents on topics such as time-outs, stepchildren, homework and lying. The Q&A section is highly informative and even entertaining reading. Rosemond’s advice may sometimes surprise you, but it always makes good sense. Any of his books would make a good gift for mom. 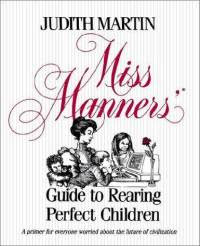 Gentle writer Judith Martin is the epitome of all things correct, making her the perfect person to turn to when one is attempting to raise civilized children. She has an amazing knack for simplifying seemingly complicated situations by taking out all the messy emotions attached and - with her charming sense of humor - exposing the simple truth that makes courteous behavior so desirable. The rule is to do the best you can, in what you believe to be the child’s ultimate interests, and be prepared to suffer through the child’s later explanation of how he (by that time a childless young adult who knows everything) would have done it better. Nature has its own revenge, in that these people usually eventually have children of their own. This huge volume is composed as a witty curriculum for parents. It begins with theory and basic skills and goes all the way through to postgraduate and extra credit “work”. 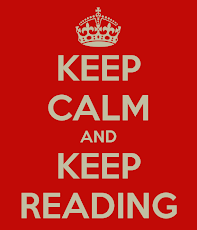 Much of the text is in the same format as Miss Manners’ syndicated newspaper advice column, so it can be a lot of fun to flip the book open to any page and read a few letters and responses. M. D. Clark wants peace on earth and a big salad for Mother’s Day.